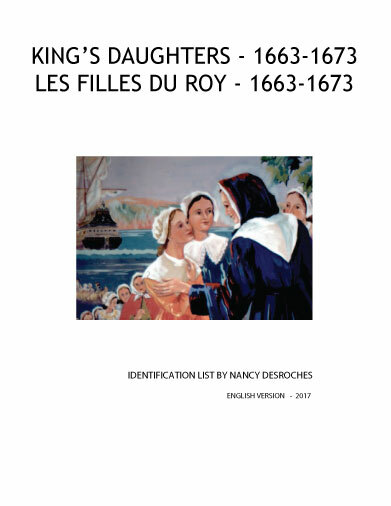 summary: In the reign of Louis XIV to counter the disproportion between the sexes in the colony of New France, unmarried young girls crossing in order to get married. Bold, adventurous some came in the hope of a better future and contributed to this still young colony in every way it could. Here is the list compiled by Nancy Desroches.